ICONIC CONCEPTS® & AXE HEAVEN® have created handcrafted KISS® miniature guitars to commemorate the bands iconic guitars. All guitars are officially licensed by EPIC RIGHTS®. 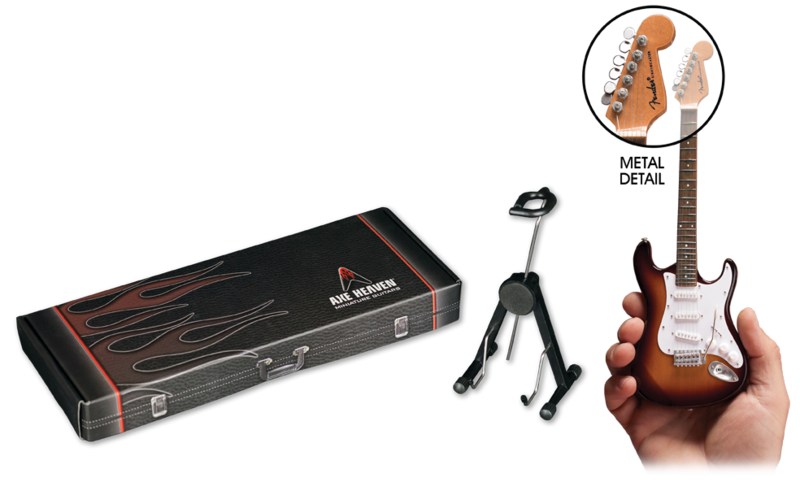 Each guitar model is approximately 10” in length and comes complete with a high-quality miniature adjustable A-frame stand and collectors gift box.